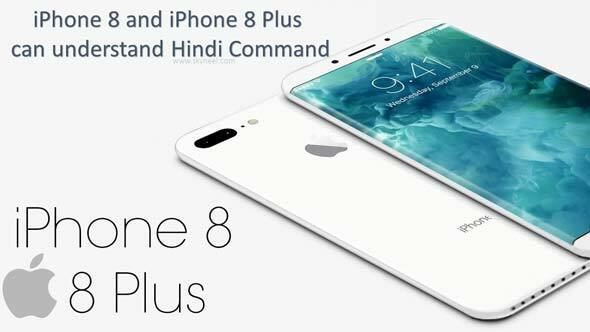 As per the news the latest Apple iPhone 8 and iPhone 8 Plus can understand hindi command. When you unbox your latest Apple iPhone 8 and iPhone 8 Plus you can check you handset not only understand hindi command but also you can easily give any instruction in hindi. Meanwhile, telecom company Reliance Jio has offered a rebate of up to 70 percent on the repurchase for those who purchased the new iPhone 8. This is a great news for all those Indian customers who want to buy latest iPhone 8. They can get the benefit of this new feature in his handset. Mr. Tim Cook video message shown in a program which is held at the Reliance Jio corporate headquarters. Reliance Jio Chairman Mr. Mukesh Ambani has announced number of offers when you buy latest iPhone 8 and iPhone 8 plus. This could be done after alliance with Jio and Apple. After finish the one year of mobile upgradation, he will get up to 70 percent discount to his customers. At this occasion, Reliance Jio Director, Mr. Akash Ambani said, “We promise 70 percent of the repurchase offer a year after the iPhone 8 iPhone 8 Plus and iPhone X. For this, customers will have to take a plan of Rs 799, monthly or more, to Reliance Jio.” All we know Apple latest smartphone launched in the market and iPhone 8 priced at Rs. 64K while iPhone 8 Plus priced at Rs. 73K only. They also give statement that after this alliance iPhone 8 is affordable to the customers. They can also get the opportunity to get the latest models of iPhone through repurchases plan. This is a great news for all those Indian customers who are still waiting to buy Apple iPhone 8 and iPhone 8 Plus. We have already know that both smartphones – pre orders are available from 22 to 29th September 2017. Both iPhone using Apple A11 Bionic Chip with Hexa Core processor and M11 Co-Processor with 64bit. The Apple iPhone 8 or iPhone 8 Plus both are using 2GB RAM and 64GB internal storage memory. Both iPhone comes with Single Nano SIM (GSM) which is running on iOS V11. These iPhone using 2G, 3G and 4G Network with FM radio, WiFi 802.11, a/ac/b/g/n/n 5GHz, Mimo, Mobile Hotspot, Bluetooth V 5.0, NFC, GPS, with Fingerprint Sensor. You can also get USB 2.0 connectivity feature in this handset. So hurry and book your iPhone 8 or iPhone 8 Plus from HCL Infosystem partners stores.